CLEAN TITLE CERTIFIED! Reviews: * Strong V8 engine is never at a loss for power; cabin remains quiet regardless of road conditions; seating for up to eight passengers; capable of towing up to 8,100 pounds; Apple CarPlay phone integration. 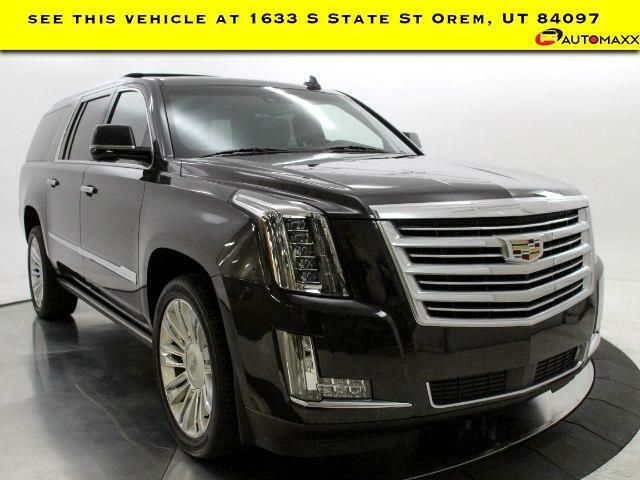 Source: Edmunds 2016 Cadillac Escalade ESV Platinum Edition --- All vehicles come with a 12 month/12,000 mile Powertrain WARRANTY for your PEACE of MIND! --- www.utahautomaxx.com --- 801-224-3933 Se Habla Espanol.